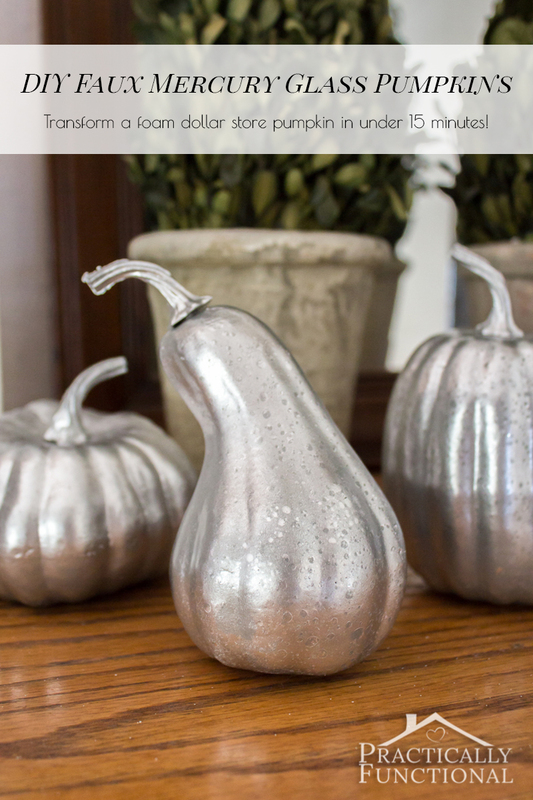 I love the look of mercury glass, but the pieces I’ve found at most home goods stores are really expensive. 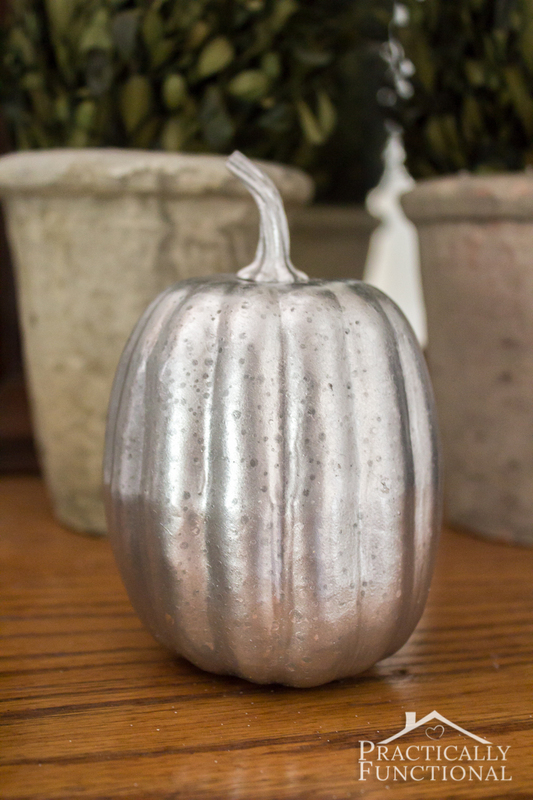 I know that you can turn regular clear glass into faux mercury glass with mirror spray paint, but I wanted a mercury glass pumpkin for Halloween, and I haven’t been able to find any plain glass pumpkins that weren’t super expensive also. 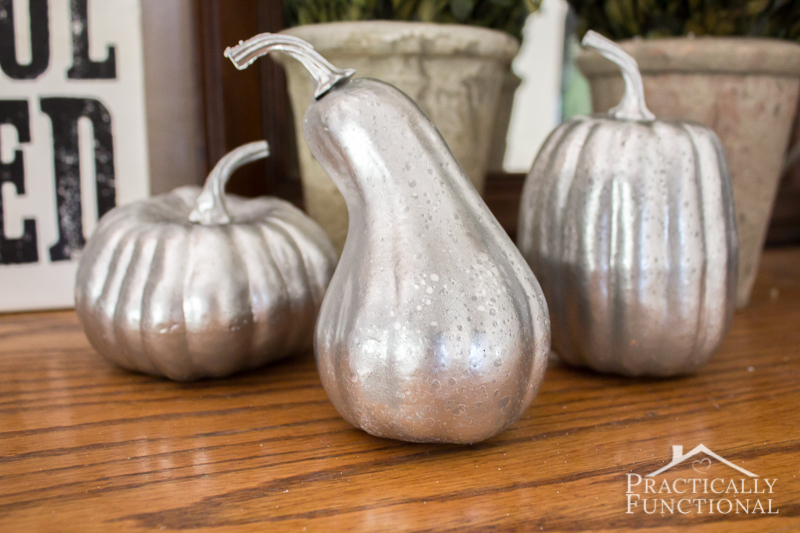 When I was at the dollar store the other day I spotted some cute mini pumpkins made from styrofoam and I thought, “I wonder if I can turn these into faux mercury glass pumpkins?” Turns out, you don’t need to start with something made of glass in order to achieve the mercury glass look! 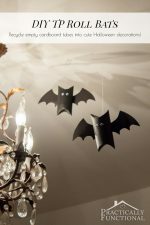 I’ll show you how I transformed these foam pumpkins in this tutorial. 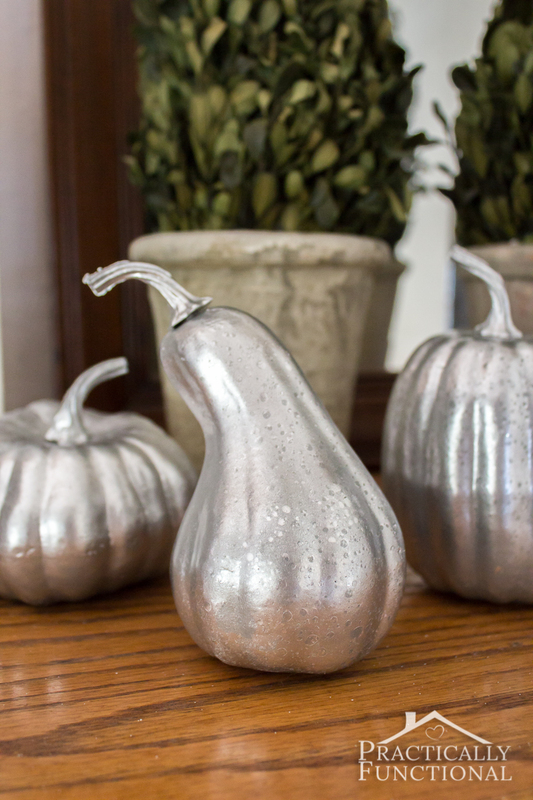 This mercury glass effect is created using water to resist the mirror spray paint in areas, creating spotty and splotchy “distressed” areas on your finished pumpkin. 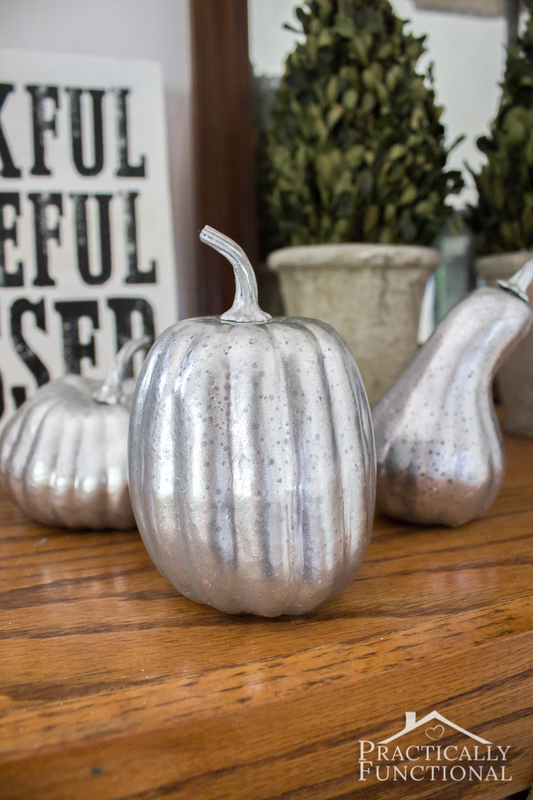 But since most dollar store pumpkins are bright orange, you’ll want to start by giving them a quick coat of grey spray paint so that what shows through in the spots that resist the mirror spray paint is grey instead of bright orange! 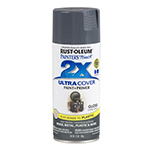 While you’re waiting for that coat of paint to dry fully (I let mine dry for about 45 minutes), mix half water and half white vinegar in your spray bottle. 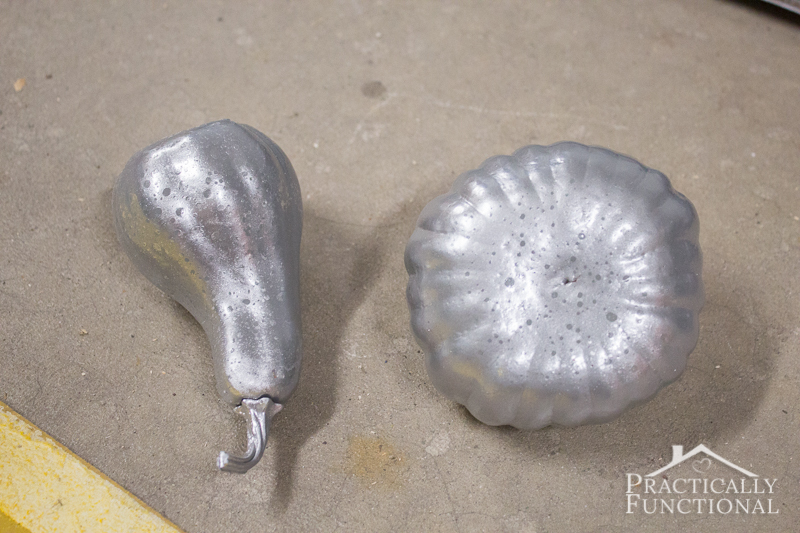 I used 1/4 C of each and it was more than enough to make six mini faux mercury glass pumpkins. 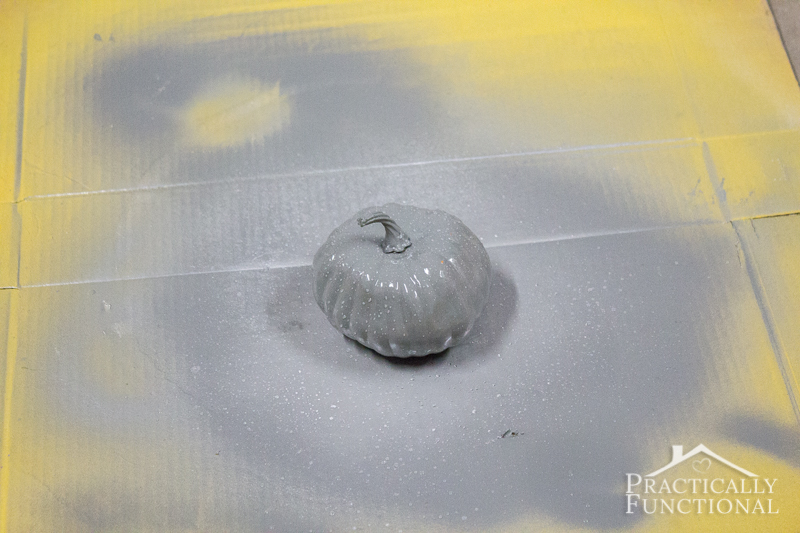 When the grey paint is dry, lightly spritz the pumpkin with the vinegar and water mixture. 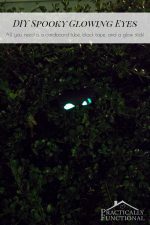 You want droplets to form on the surface of the pumpkin, but you don’t want them to run off. 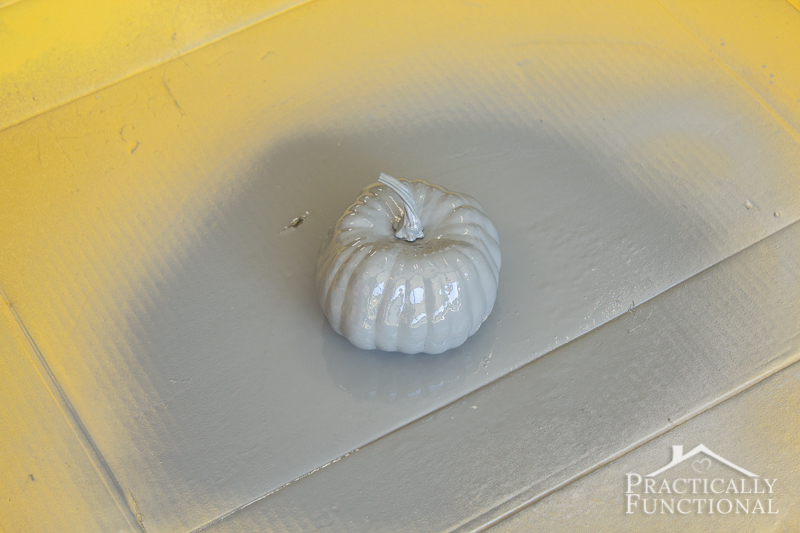 Then immediately spray a light coat of mirror spray paint over the entire pumpkin. 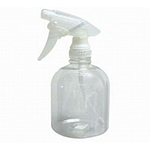 Don’t spray too heavily; you don’t want to disturb the water droplets. 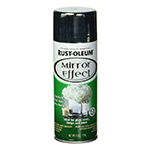 Let the mirror spray paint sit for one to two minutes, then gently wipe away the water droplets with a soft cloth rag. 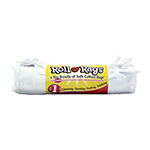 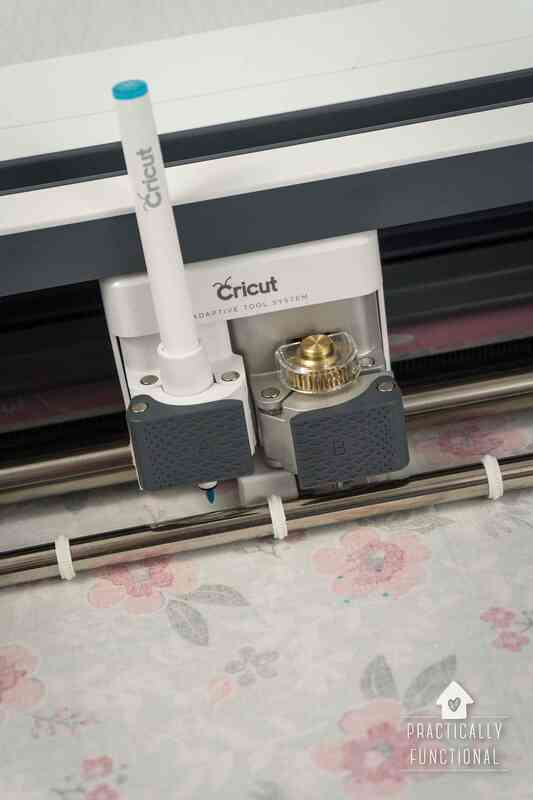 TIP: Use a soft cloth rag instead of a paper towel to wipe the water spots away. 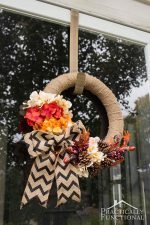 Paper towels usually have ripples or a slight “pattern” to them, and this pattern can transfer to your pumpkins, leaving your paint job looking textured instead of smooth, but cloth rags are smoother and won’t impart any “texture” to your pumpkins. 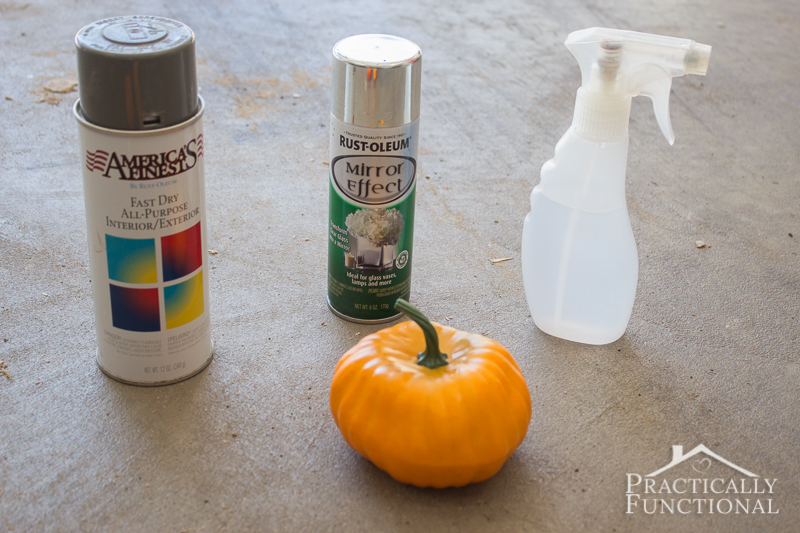 The longer you let the mirror spray paint sit before you wipe the water away, the more the paint will dry and stick to the pumpkin. 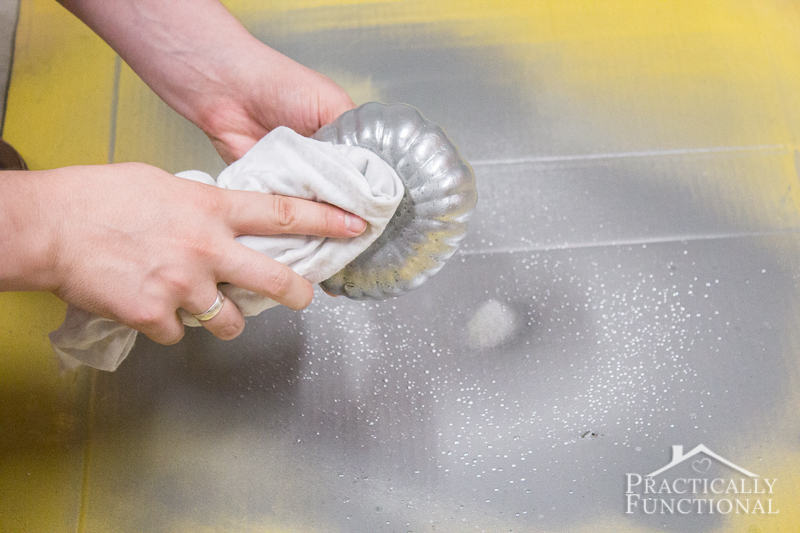 If you only let it sit for 30 seconds before wiping it away, you will be able to wipe away not only the spots where the water was, but also some other areas of paint for a more distressed look. 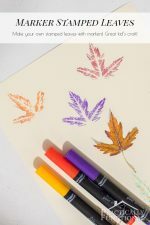 If you let it sit for three minutes before wiping it away, you will only wipe away the water spots, leaving perfect droplet-shaped spots on your pumpkin. 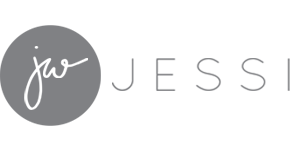 Go for whichever look you like the best! 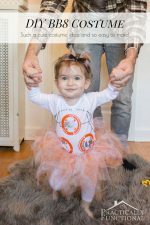 In the picture below, the pumpkin on the left was wiped after about 45 seconds while the one on the left was wiped after a little over two minutes. 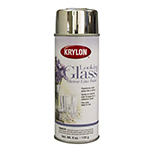 Since you need to use a super light coat of paint so that you don’t mess up your water droplets, you will probably need to repeat the whole process two or three more times to really get the faux mercury glass look. 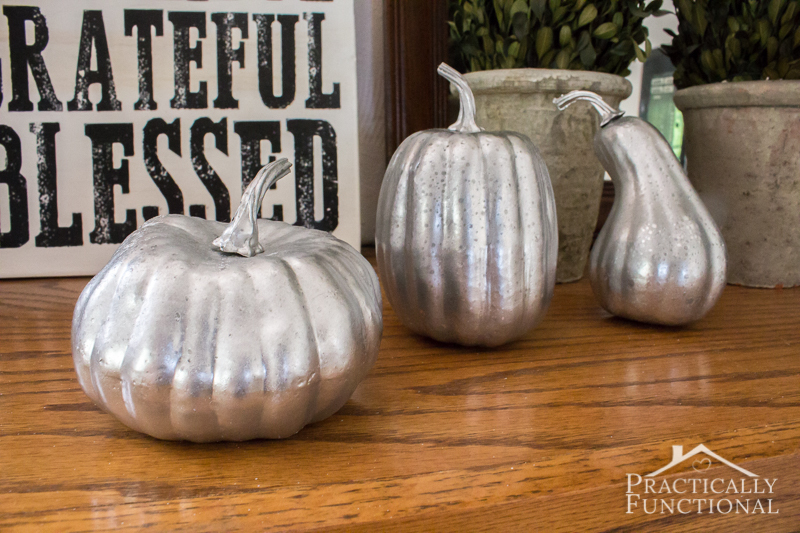 I did four coats (spraying water and vinegar, then spraying mirror spray paint, then wiping it off each time) on my pumpkins and I think they turned out great! 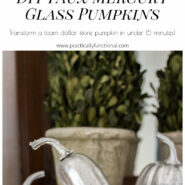 Love the mercury glass tutorial!